The Globo Side Table by Rugiano Interiors features a sculptural base that twists into a loose spiral. 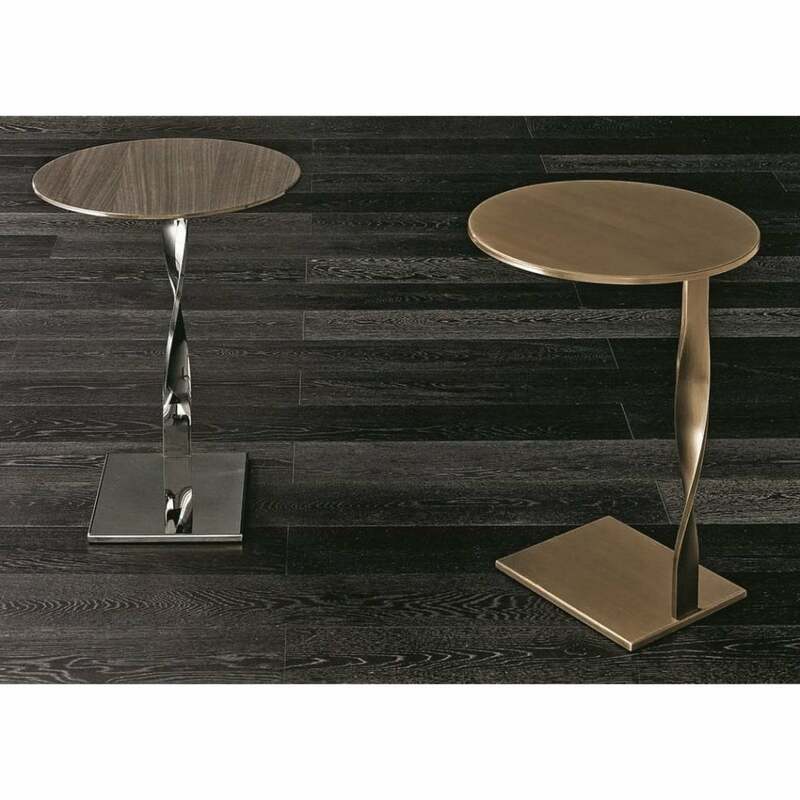 Choose either a steel or bronze finish for the legs and base to complement your furnishings and fittings. The round or rectangular table top that can be crafted from a variety of materials including marble, leather and wood. Each piece is hand-made with the utmost care and precision to produce a design of the highest quality. Globo is the ultimate, luxury accessory for a sofa or chaise longue. The side table curves towards the sofa or chair to provide the perfect surface for a hot drink or glass of wine and a good book. Available in 4 sizes, get in touch with our team for more information.